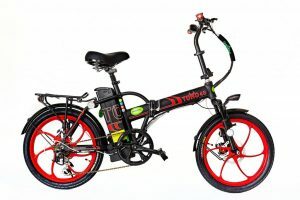 Range: 20-45 miles range at a standard electric pedaling speed of 20 mph on a flat surface for a person weighing up to 165 lbs. We accept: Visa, Mastercard, American Express, PayPal, Amazon Pay, Google Pay, Apple Pay, and more! GreenBike Electric Motion’s 2018 City Hybrid Folding Electric Bike is a One-Size-Fits-All, Powerful and Stylish Solution For Commuters, Students, Travelers, Boating Enthusiasts and More! 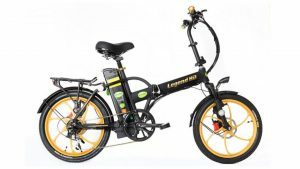 Equipped With an Electric Motor and Lithium Ion Battery, This “Light Electric Vehicle” Gives You The Option to Ride In 2 Modes: Pedal Assist (9 levels) or Throttle On-Demand. 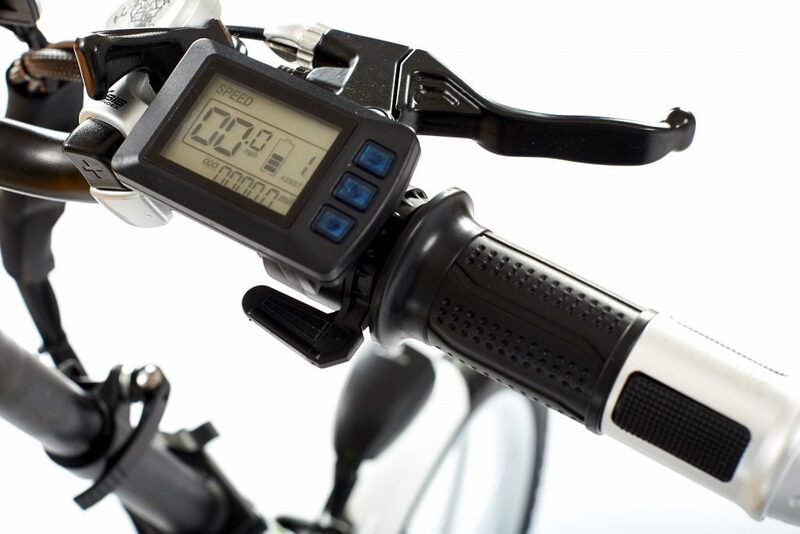 Throttle Mode Can Reach Speeds of 20 MPH Without a Single Pedal. 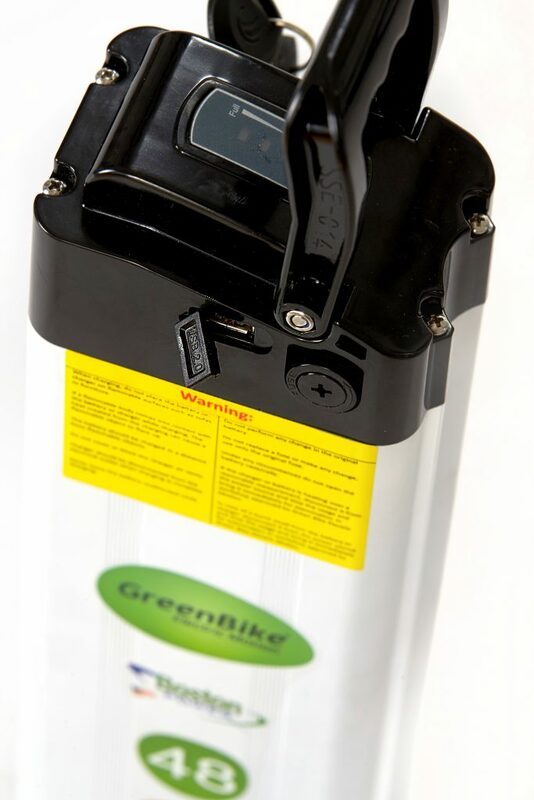 In Pedal Assist Mode Riders Can Reach Distances of 45 Miles Per Charge. Ensure Visibility At Night. Button-Controlled Horn and Headlights/Taillights. 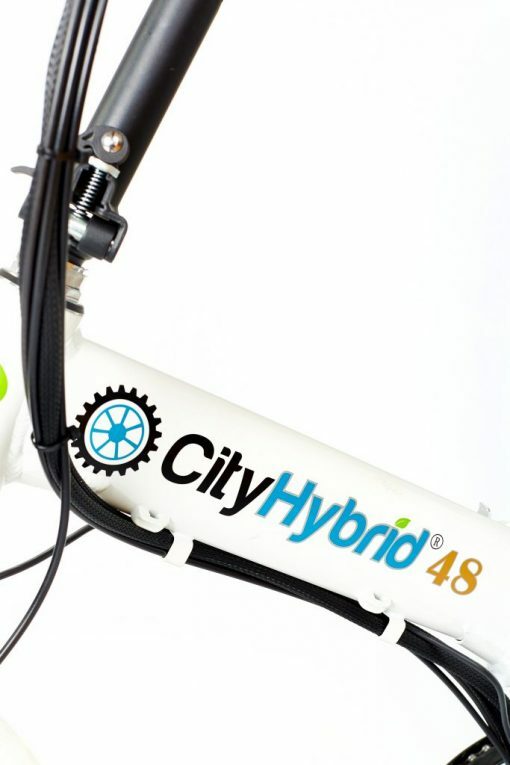 Durable Mag-Wheels that Will Stand the Test of Time, Never Require Any Adjustment, and Come In a Variety of Colors. 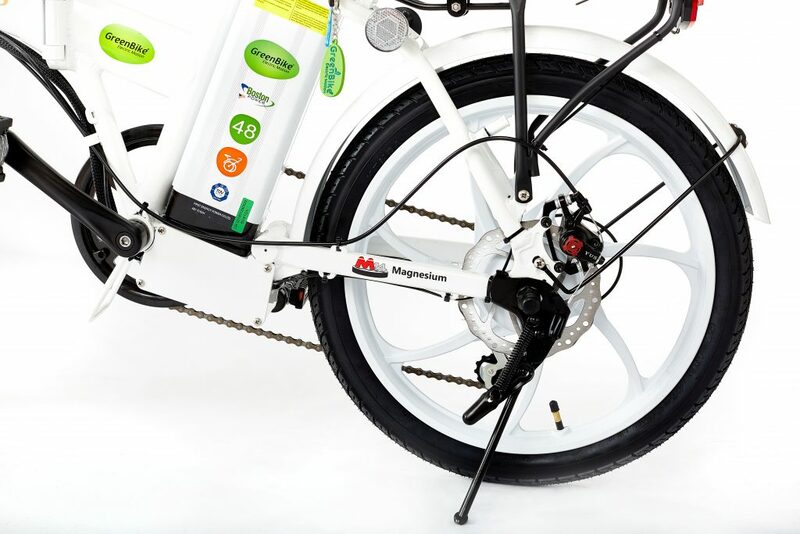 Mechanical Disc-Brakes In the Front and Rear Are Also Connected Electronically (Electric Cutoff) to Ensure a Safe, Smooth Stop. 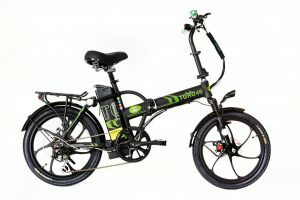 Powerful 350W Rear-Hub Drive Brushless HT Motor and 48V 10.6aH Boston Power Lithium Ion Battery Make it Possible to: Glide Effortlessly Without Pedaling, Get Back on the Bike to Rehab an Injury that Previously Kept You From Riding, and Climb Steep Hills Without Breaking a Sweat. Folding Frame, Stem, Pedals, and Seat Collapse the Bike to the Size of a Suitcase. 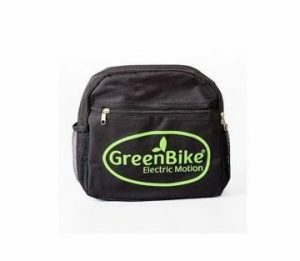 Conveniently Fits In the Trunk of Your Car, Can Be Brought on the Train, and Be Stored Inside Your Home or Office. 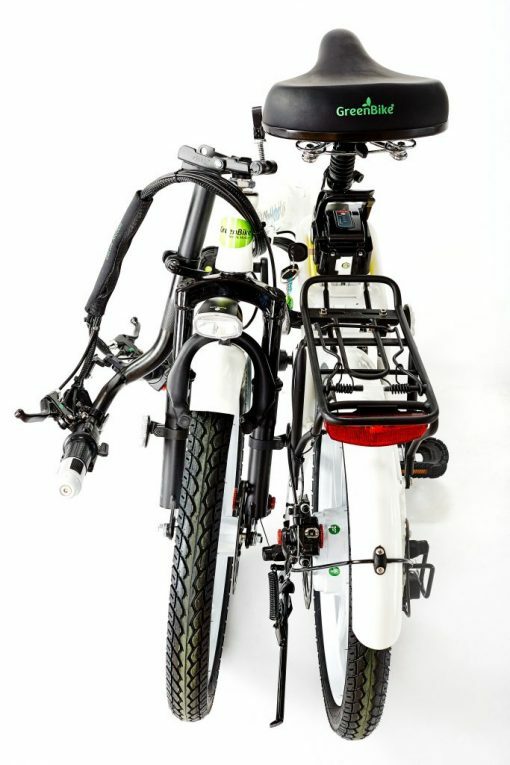 Your E-Bike Arrives 99% Assembled. 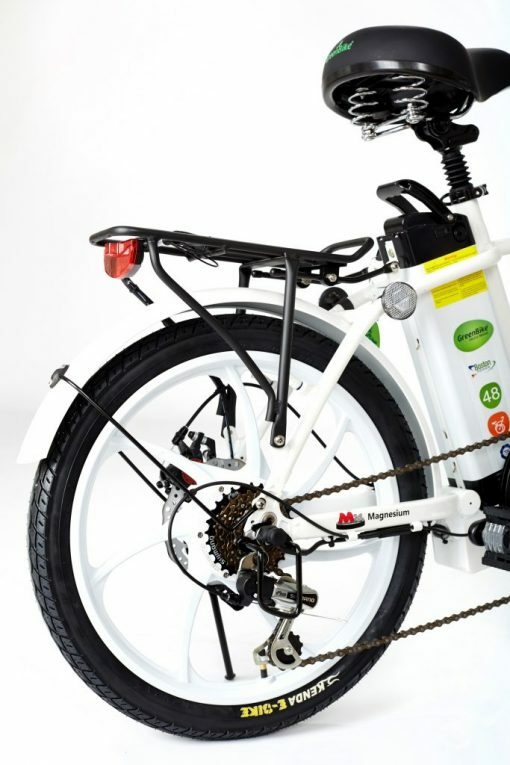 Just Attach and Tighten 1 Bolt, and You’re Ready to Ride. Avoid the Hassle of Assembly. No Need to Attach Wheels or Pedals. 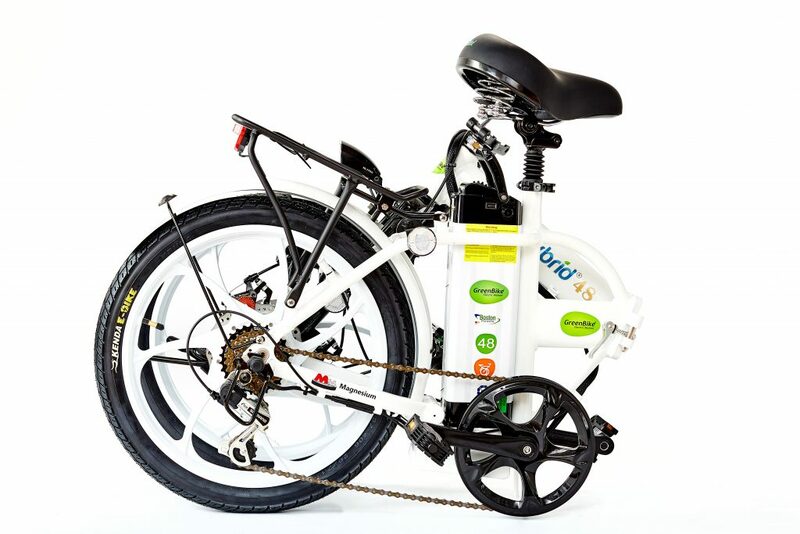 Take Your Bike Out of the Box and Set it Up In 5 Minutes or Less! 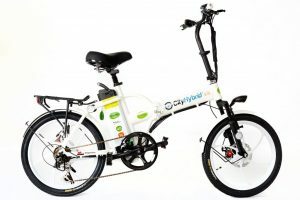 Equipped With: Speedometer, Odometer, Trip Meter, Battery Meter, and 9 Levels of Pedal Assist! Fold Your Bike Down to the Size of a Suitcase to Fit in Your Trunk, on Your Boat, or to take onto Public Transit During Peak Hours! 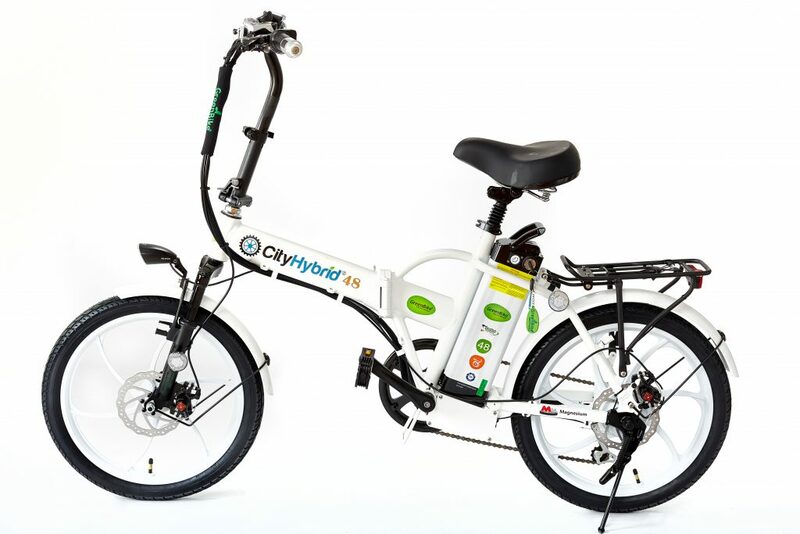 Fill in the information below and we'll reach out to you to coordinate a free test ride with the electric bike models of your choosing. Distance: 20-45 miles range at a standard electric pedaling speed of 20 mph on a flat surface for a person weighing up to 165 lbs. Max Load Weight: 242 Lbs. My City Hybrid has got some real power. Riding to work is easily the most fun part of my day now! 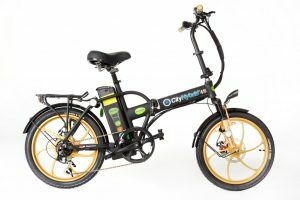 I purchased an ebike primarily for my commute to and from the train station. Saves me valuable time in the morning and also prevents a sweat! It’s been reliable and fun and the guys at Powermove have been readily available to answer any question I have had. 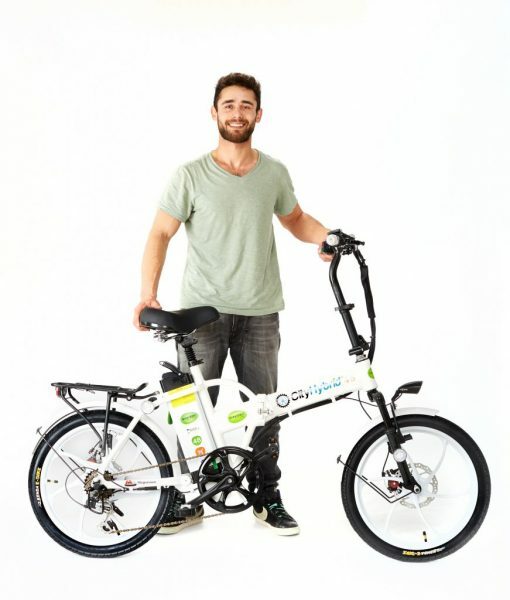 They helped me find an appropriate child seat for the back – my son loves zipping around town on the “no pedal bike”! 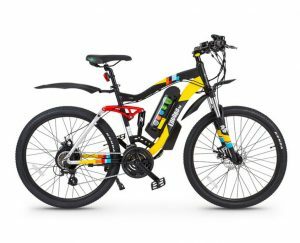 Very happy with my purchase and highly recommend an ebike for commuting or fun! 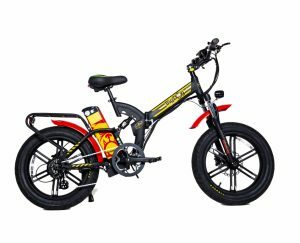 I could instantly feel the quality of this e-bike upon my first ride! So very satisfied with this purchase. Was skeptical about the price… But this thing is paying for itself from my savings on gas and parking. 3 months later, I now feel like this was an extremely intelligent purchase.